Casino440 is a bit of a conundrum. It's one of many Microgaming casinos, so there's no problem with game variety, or software. However, the homepage is like an explosion in a cheap Italian restaurant, which really detracts from the overall experience. 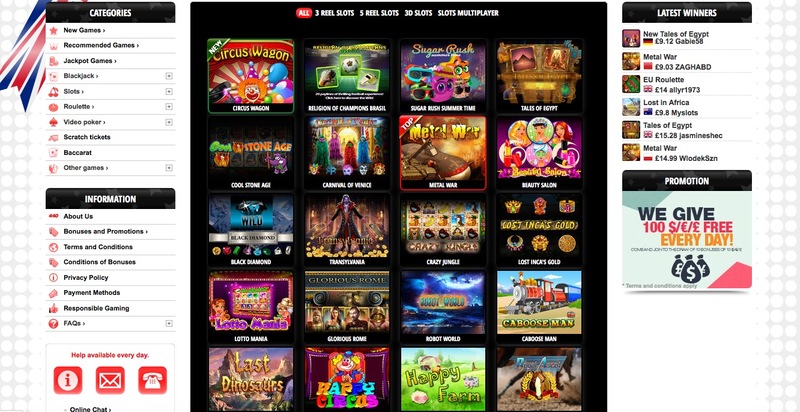 The casino has over 150 no-download games, and an initial £500 welcome bonus. Simply for signing up and entering the code, you'll get access to that $25,000 draw which takes place in January 2014. The minimum deposit is $10, or your equivalent currency, and you can make a daily deposit of up to $1000. If you use a verified e-wallet, you can cash out in a matter of minutes, so if you want to get your hands on your winnings, there's no hanging about. The stars of the line up are definitely those infamous Microgaming progressive slots such as the Dark Knight, Major Millions, and Cash Splash. Lara Croft also makes an appearance in Tomb Raider, Secret of the Sword. It's advisable to play each game in demo mode before you make that all-important first deposit. Lovers of roulette will get in a spin, thanks to numerous variants including European, French, and American. Plenty of blackjack tables too including one hand, multi hand, and jackpot. Video poker, slots, scratchcards, roulette, blackjack, keno, bingo. Microgaming. No download is required before you play, and there is also a mobile version available. To install the mobile version on your tablet or smart phone, either scan the QR code, visit the designated link, or sign up via SMS. If, for some inexplicable reason, you like it cheap and tacky, you may feel at home here. If you prefer a more sophisticated environment, you may want to look elsewhere. Casino440 is licensed in Curacao. The site is protected and encrypted by GeoTrust, and regulated by eCOGRA.